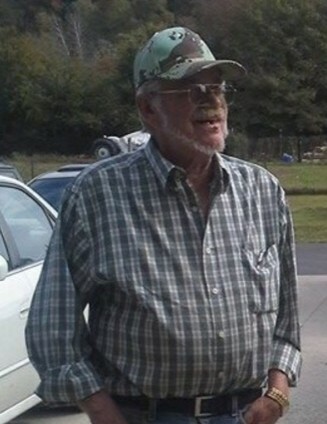 Arlis “Sonny” Litton, age 75, of Pine Knot, Kentucky, son of Ed and Elsie Anderson Litton, passed away Thursday, February 7, 2019, at his home with his wife of 56 years, Bonnie (Clark) Litton, children, and loving family by his side. Sonny, along with his brother, Verlin and later, son Eddie, operated Litton’s Service Station for over 25 years where his customers became dear friends. After retiring, raising gardens and watching his grandchildren and great-grandchildren were his greatest pleasures. He will be greatly missed. Preceding him in death were his parents, brother Verlin Litton, and sister Bernice Litton Lovejoy. He is survived by his wife, Bonnie Litton, children; William (Ed) Litton (wife Mary), Lisa Litton Allen (husband Donnie), grandchildren: Crystal Miller, Tomi Tapley, Jessica Litton, Chris Litton, Jacob Allen and Emily Canada, along with nine great-grandchildren, sisters: Nina Neal, Thelma Boyd and Brenda Carson, brothers: Randall Litton and Steve Litton and several special nieces and nephews. The family would like to say a special “thank you” to Phoebia and the Hospice Care team. Funeral services will be held at 3:00 p.m., Sunday, February 10, 2019, in the chapel of Pine Knot Funeral Home with Bro. William Kilby and Bro. Rick Watson officiating. He will be laid to rest at the Hayes Creek Cemetery. The family will receive friends Sunday from 2:00 p.m. until time for services.